On November 20th, the Obama Administration announced executive actions to help fix the nation’s broken immigration system. The reforms include expansion of the 2012 Deferred Action for Childhood Arrivals (DACA) program, a new Deferred Action for Parental Accountability (DAPA) program, expansion of the stateside provisional waiver program, an end to the Secure Communities program, and other reforms to the immigration system. Altogether, these actions have the potential to benefit an estimated 4.9 million individuals. 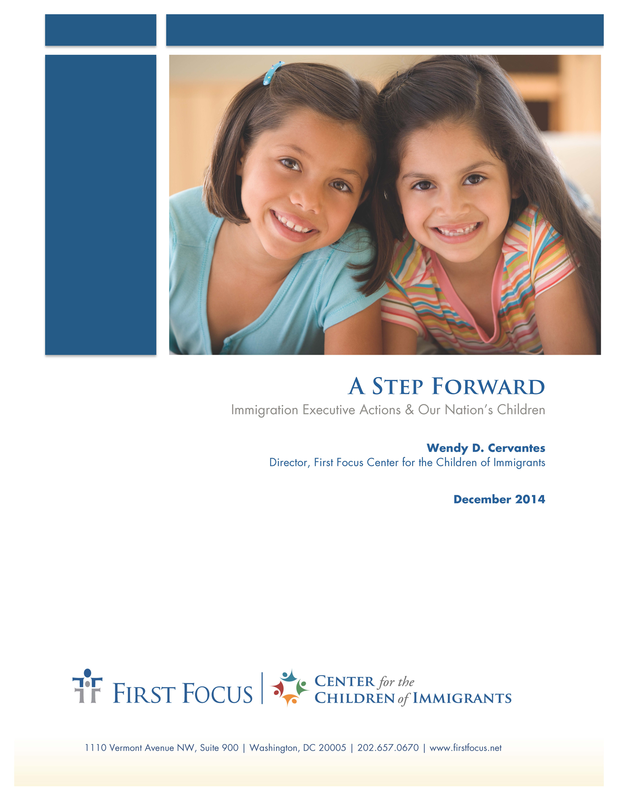 This brief provides an overview of some of the key reforms impacting children and families, as well as an analysis of the overall impact on child and family well-being.